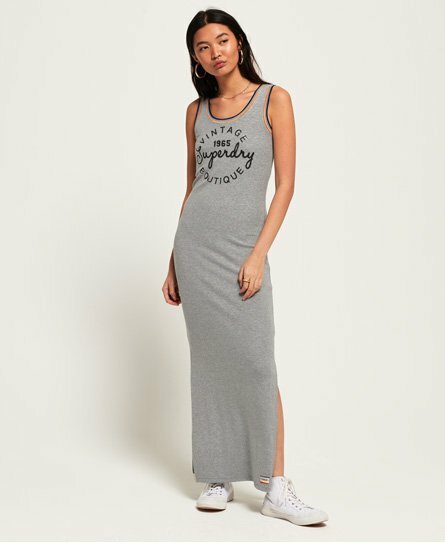 Superdry women's Rainbow rib maxi dress. Update your everyday style this season with this maxi dress, featuring a scoop neck and back, logo design on the front and rib detailing around the collar. The dress is completed with split side seams for your comfort and a logo badge above the hem. Style with trainers and a denim jacket for an easy everyday outfit.